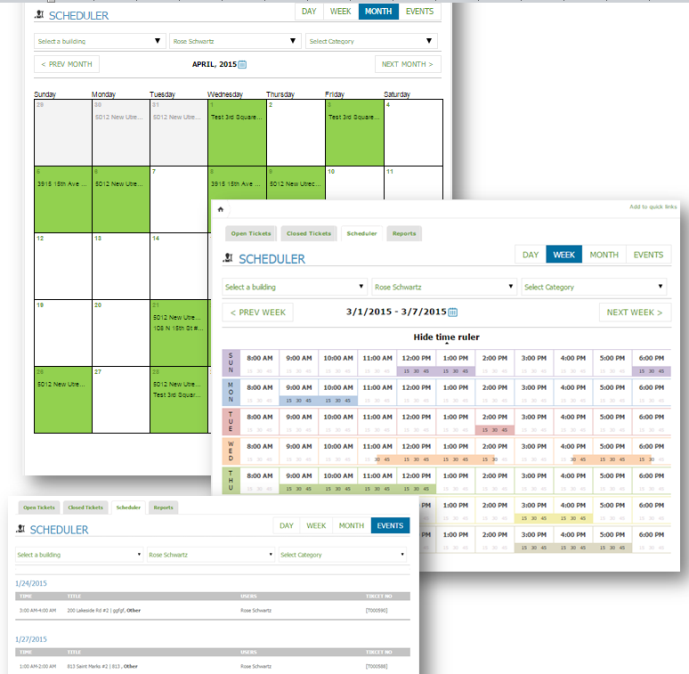 With the new web scheduler you can see what’s on your teams’ schedule, current and upcoming appointments for all buildings and each maintenance guys’ daily event agenda. And with our innovative ‘Time Ruler’ you can easily track free time available for each employee! Upon login, each user has a unique web calendar for their created events, or events they have been invited to. Admin and Manager Users are able to view and manage the calendar for all users. To create a scheduler event, click on the calendar icon on the ticket details page. When an event is created, the event is automatically added to the web calendar and all users’ calendars are instantly updated when they are added to an event. In addition all participants will receive an email with an event attachment, which they can then import to their devices’ personal calendars.